The process of separation is integral unit operation in most of the Modern Pharmaceutical Techniques, chemical and other process plants. Among the separation processes, some are standard and conventional processes, like, distillation Process, absorption process, adsorption process, etc. These processes are quite common and the relevant technologies are well developed and well-studied. On the other hand, newer separation processes like, membrane based techniques, super critical fluid extraction, chromatographic separation, etc., are gaining importance in modern days plants as novel separation processes. There is a broad growing worldwide interest in step change Separation Technologies, in key areas of physical sorption, distillation process, membranes, heat exchange and absorption. Many of the innovative research activities are initiated by growing concern with environment (e.g. Co2 capture), equipment and energy cost, A number of new technologies find applications in neigh boring processes. This new technologies include Industrial membrane filtration technology, Magnetic Separation Techniques in various fields, Cell Separation Techniques in microbiology, Distillation and filtration as Separation techniques. These technologies use heat evaporative systems, involve brine heaters, flash chambers and high temperature conversion processes in the conversion of seawater to fresh water. This technology has demanded the use of a wide range of materials involving the copper-base (cupronickels), iron-base (stainless steels) and titanium. Both the multi-stage flash (MSF) and the multi-effect distillation (med) processes are very capital intensive, with large footprints. 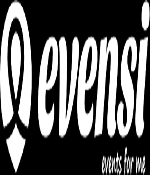 The membrane process, or reverse osmosis (RO), is the low-temperature, high-pressure process in achieving the same ends. At the same time, this is a separation process used in the optimization and purification of potable and drinking waters. This process can be modularized or built as a full-scale plant for conversion. In the field of Chemical Engineering separation process is the mass transfer that converts the substance mixture into specific product mixtures. In some cases, a separation may fully divide the mixture into its pure constituents. Separation Techniques are conducted based on the differences between chemical properties, or physical properties like size, shape, mass, density and chemical affinity, between the constituents of a mixture, and are often differentiated according to the specific differences they use to achieve .The Global process Instrumentation market is expected to reach $18.96 Billion by 2020, at a CAGR of 3.34% from 2014 to 2020. Region leads the overall Process Instrumentation market. The Separation Process in the chemical engineering includes Adsorption, Capillary electrophoresis, Centrifugation and cyclonic separation, Crystallization, Decantation, Distillation, Drying, Electrostatic Separation, Elutriation, Evaporation, Extraction, Field flow Fractionation, Magnetic separation, Precipitation, Recrystallization. Crystallography is the science that analyses crystals, which can be discovered wherever in nature from salt to snowflakes to gemstones. Crystallographers utilize the properties and internal structures of precious stones to decide the course of action of iotas and produce learning that is utilized by scientists, physicists, scholars, and others. Connected Crystallography is a crystallographic technique that is utilized to examine the crystalline and non-crystalline issue with neutrons, X-beams and electrons, their application in consolidated matter research, materials science and the life sciences, and their utilization in identifying stage changes and auxiliary changes of imperfections, structure-property connections, interfaces, and surfaces and so on. Separation Techniques is the most important unit operation in food processing. The first processes developed to separate food components selected physical or mechanical means that allowed simple separations involving solid–solid or solid–liquid systems. Another group of separation relied on heat-induced phase changes as the driving force for the separation. From simple evaporation to distillation and solvent extraction, such approaches allowed for the concentration of many liquid foods (i.e. milk, fruit and vegetable juices, etc.) and for as the industrial production of ethanol, liquor, and vegetable oils. Clinical Chemistry is that field of clinical pathology involved with analysis of body fluids. The discipline originated within the late nineteenth century with the use of simple chemical tests for diverse elements of blood and waste product. After this, totally different clinical biochemistry techniques were applied at the side of the use and live of catalyst activities, spectrophotometry, action, and biological assay. Endocrine pathology is that the subspecialty of surgical pathology that deals with the diagnosing and characterization of growth and non-neoplastic diseases of organs of the system, as well as the thyroid, parathyroid gland, secreted exocrine gland, and adrenal glands. Pharmacology is additionally a branch of biological chemistry, and medicines committed the study of the adverse effects of chemicals on living organisms. A diagnosing may be an academic degree array of tests performed on excreta, and one in all the foremost common ways of disease susceptibility. A faecal occult check involves the gathering and analysis of BM to diagnose the presence or absence of a medical condition. The HPLC methodology applied to the analysis of biological samples makes it possible for the identification of many metabolites. Samples from two human embryos culture medium were analyzed by high-pressure liquid chromatography–mass spectrometry (HPLC–MS). They work on the principle that many microorganisms have their own unique mass spectral signature based on the particular proteins and peptides that are present in the cells. Identification of unknown peaks in gas chromatography (GC-MS)-based discovery metabolomics is challenging, and remains necessary to permit discovery of novel or unexpected metabolites that may allergic diseases processes and/or further our understanding of how genotypes relate to phenotypes. Here, we introduce two new technologies and advances in pharmaceutical analytical methods that can facilitate the identification of unknown peaks. Membrane technologies are progressively fetching useful components of pharmaceutical production processes. For some time, membrane separation technologies of reverse osmosis, ultra-filtration and micro-filtration have been used to concentrate and purify both small and large molecules. More recent applications of technologies cover a broad range of separation, concentration and purification needs. For example, pharmaceutical waste streams can be treated by Nano-filtration or evaporation to detoxify them and/or reduce the volume of waste requiring incineration. Analytical & Bioanalytical Techniques deals with the analytical methods used for characterization, release, and stability testing of the chemical compounds as well as the biotechnological/biological products. Since the last two decades, the concept of bioanalysis has evolved into biopharmaceuticals which also takes into consideration larger peptides and proteins. As Bionalytical techniques revolutionize measurement of minute quantities of metabolites and their impact, the subsequent findings are of significance for applying Analytical and Bioanalytical techniques in clinical and medical procedures. Mineral ores are one of the basic raw materials which should be separated and purified to their mineral forms. Mineral ore can be separated according to their particle sizes, physical properties and chemical properties. 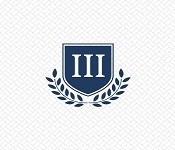 Separations are made by chemical treatments and they are subject to quality control in each sector to reach its economic grade by separating all other impurities. Nanotechnology is the emerging field that deals with Nano particles this track confers the information about the separation techniques used in nanotechnology. It is a branch of science that exploring the new dimension in the Nano level which leads into the discovery of new drugs, treatments, user friendly equipment, technologies, etc. This generation is now focusing on the Nano & Pico level experiments & technologies which leads to newer version of science. Bio separation is the name given to the practice of purifying biological products on large-scale, using fundamental aspects of engineering and scientific principles. The end goal of bio separation is to refine molecules, cells and parts of cells into purified fractions. Biological products can be separated and purified depending upon the following characteristics: density, diffusivity, electrostatic charge, polarity, shape, size, solubility and volatility. Fractionation is a separation technique in terms of phase transition. It most probably used in all research and industrial sectors. Magnetic separation is used to separate materials which are susceptible to the magnetic field. Magnetic Separation is the way toward utilizing attractive drive to expel metallic or ferrous materials from a mixture. This track deals with separations based on the magnetic field coupled with electric current, electrostatic separation, and polarizing separation. Conference Series invites all the participants from all over the world to attend 15th International Conference and Expo on Separation Techniques October 14-15,2019 London, UK. This includes prompt keynote presentations, Oral talks, Poster presentations and Exhibition. 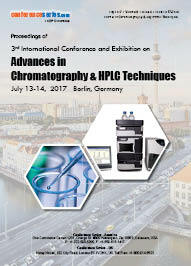 Separation Techniques 2019 is a global annual event to discuss and learn about Novel separation techniques in chemistry, Hyphenated Separation Techniques, Emerging separation technologies, Advances in Sample Preparation Techniques, High Performance Liquid Chromatography, and Advancements in chromatography techniques, Spectroscopy, Basic separation techniques and research related to these fields. 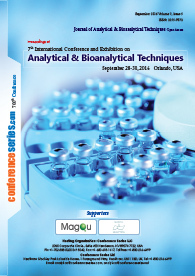 In the light of this theme, the conference series aims to provide a forum for international researchers from various areas of analytical research, separation sciences, method development and validation by providing a platform for critical analysis of new data, and to share latest cutting-edge research findings and results about all aspects of Separation Techniques. 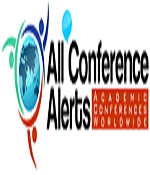 Conference Series Organizes 2000+ Conferences every year across Europe, USA & Asia with support from 1000 more scientific societies and Publishes 700+ Open access Journals which contains over 30000 eminent personalities, reputed scientists as editorial board members Conference Series make the perfect platform for global networking as it brings together renowned speakers and scientists across the globe to a most exciting and memorable scientific event filled with much enlightening interactive sessions, world class exhibitions and poster presentations. Separation Techniques are those techniques that can be used to separate two different states of matter such as solid and liquid. Such separation techniques include evaporation or filtration. Separation process, or a separation method, or simply a separation, is a methodology to attain any mass transfer phenomenon that converts a mixture of substances into two or more distinct product mixtures. Introduction to total market of separation techniques: The separation techniques industry is showing growth rapidly, with value expected to hit 228 billion dollars by 2016, up from 164 billion dollars in the year 2010, marking annual growth of nearly 7% according to a recent industrial research report. Geographically, global separation technologies market has been segmented into four areas namely, North America, Europe, Asia-Pacific and Rest of the World. Chromatography instrumentation market 2015-2025; Geographically, North America accounts for the largest share of the chromatography instrumentation market followed by the European region. Asia-Pacific region is expected to show healthy growth in the near future because of expansion of chromatography companies in the regions of China, India, Japan, Singapore and Vietnam. Additionally, several major pharmaceutical companies are also increasingly outsourcing their drug formulation and development services especially in Asian region which is identified as another major driver that is increasing the demand of chromatography reagents in this particular region. 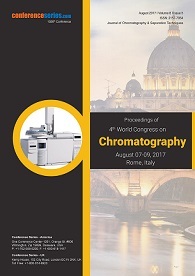 Global market for chromatographic systems estimates the CAGR of 5.2% for the period 2012-2018. Market related to Hyphenated techniques: The research work on the world hyphenated analytical instruments market provides most comprehensive & in-depth study of majorly used hyphenated analytical instruments. Research shows the market of hyphenated techniques is showing rapid growth and is estimated to reach $2.80 billion, with the major changes in competitive structure and new opportunities in emerging economies. 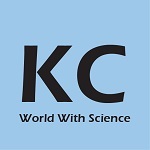 Market related to Electrophoresis technique: The world market for electrophoresis equipment and supplies predicts a CAGR of 4.8% for the period of 2013-2018. North America is the leading market with highest share in the total electrophoresis equipment and supplies market owing to increasing innovation. Asia-Pacific is expected to show the highest growth rate because of overall developments in the healthcare infrastructure and research facilities in region. Rest of World has developing economies including countries like Mexico, Brazil and others are expected to contribute in the growth of electrophoresis equipment and supplies market. Separation Techniques 2018 marked with the attendance of Organizing Committee Members, Honourable Guest, Keynote and Speakers, Conference Attendees, Students, Media Partners and Collaborators for making Separation Techniques 2018 grand success communities representing more than 20 countries, who made this conference fruitful and productive. Conferenceseries LLC expresses its gratitude to the conference Moderator, namely Dr. Terry Chilcott, University of Sydney, Australia for taking up the responsibility to coordinate during the sessions. We are indebted to your support. Similarly we also extend our appreciation towards our Poster judges namely, Pawan Saharan, Biomix Network INC., India. 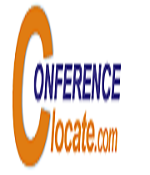 Conferenceseries LLC offers its heartfelt appreciation to organizations such as our esteemed Media Partners and other eminent personalities who supported the conference by promoting in various modes online and offline which helped the conference reach every nook and corner of the globe. It also took privilege to felicitate the Keynote Speakers, Organizing Committee Members, Chairs and Co-chairs who supported this event. 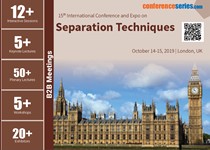 With the grand success of Separation Techniques 2018, Conference Series LLC is proud to announce the "15th International Conference and Expo on Separation Techniques" to be held during October 14-15, 2019 at London, UK. Separation Techniques 2017 marked with the attendance of Organizing Committee Members, Honourable Guest, Keynote and Speakers, Conference Attendees, Students, Media Partners and Collaborators for making Separation Techniques 2017 grand success communities representing more than 20 countries, who made this conference fruitful and productive. Separation Processes in Chemical Engineering. Conferenceseries LLC expresses its gratitude to the conference Moderator, namely Dr. Maria Vilma Faustorilla, University of South Australia, Australia for taking up the responsibility to coordinate during the sessions. We are indebted to your support. 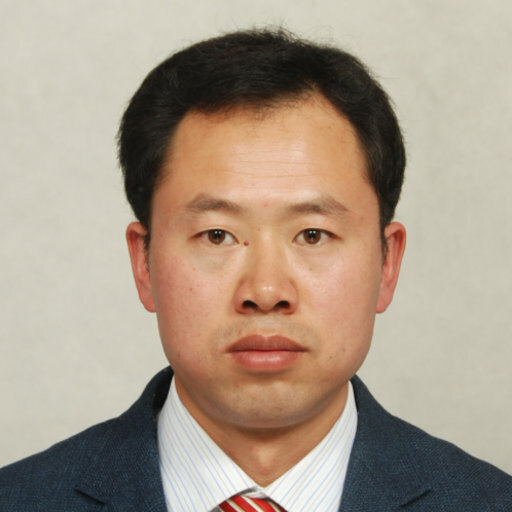 Similarly we also extend our appreciation towards our Poster judges namely, Dr. Guojun Liu, Queen’s University, Canada and Dr. Anne Jonquieres, University of Lorraine, France. 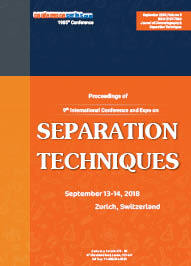 With the grand success of Separation Techniques 2017, Conference Series LLC is proud to announce the "9th International Conference and Expo on Separation Techniques" to be held during September 13-14, 2018 at Zurich, Switzerland. We gratefully thank all our wonderful Keynote and Plenary Speakers, Conference Attendees, Students, Media Partners and Associations for making Separation Techniques 2016 grand success. The 2nd International Conference and Expo on Separation Techniques, hosted by the Conferenceseries LLC was held during September 26-28, 2016 at Hotel Melia Valencia, Valencia, Spain based on the theme “Recent Advances in Separation Techniques for the Future Benefits". Benevolent response and active participation was received from the Organizing Committee Members along with Scientists, Researchers, Students and leaders from the area of Separation Science, Process Engineering Chromatography and Analytical science, who made this event a grand success. Conferenceseries LLC expresses its gratitude to the conference Moderator, namely Dr. Nico Anders for taking up the responsibility to coordinate during the sessions. We are indebted to your support. Similarly we also extend our appreciation towards our Poster judges namely, Dr. Sherry A Tanumihardjo, University of Wisconsin, USA and Dr. Gongke Li, Sun Yat-sen University, China. With the grand success of Separation Techniques 2016, Conference Series LLC is proud to announce the "5th International Conference and Expo on Separation Techniques" to be held during October 23-25, 2017 at Paris, France.